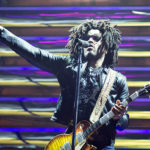 Louder Than War’s Martin Mathews (words) and photographer Melanie Smith check out American rocker Lenny Kravitz as he stops off in Manchester as part of his Raise the Vibration Tour, ahead of the release of his 11th studio album in September. 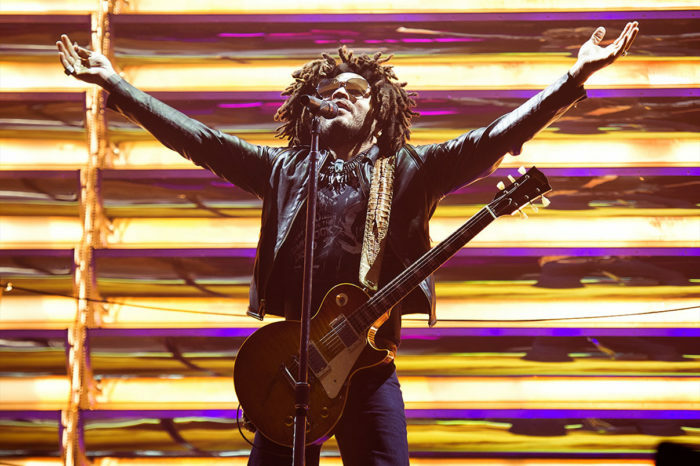 Lenny Kravitz kicked off the UK leg of his short tour in Manchester, one of only three shows, it’s been a while since he visited our shores. 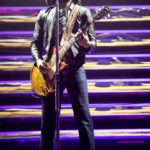 Lenny Kravitz is one of those artists I have always wanted to see perform live. 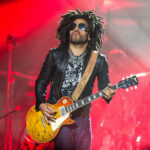 He is as cool as cool can be, slightly reminiscent of Prince, something of a legend and an artist with an incredibly diverse back catalogue crossing a number of musical genres. 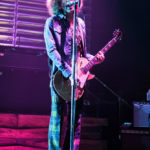 I am not what I would consider a massive fan but in the run up to this show I’ve discovered that I know a lot more of his work than just the monster hit “Are You Gonna Go My Way”. 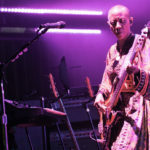 The atmosphere in the Apollo was electric, people in the front row were calling out eager for him to appear, eventually the lights dimmed and the band (which features bass player Gail Ann Dorsey, who played with Bowie) took to the stage opening the show with “Fly Away” the bar was set very high. 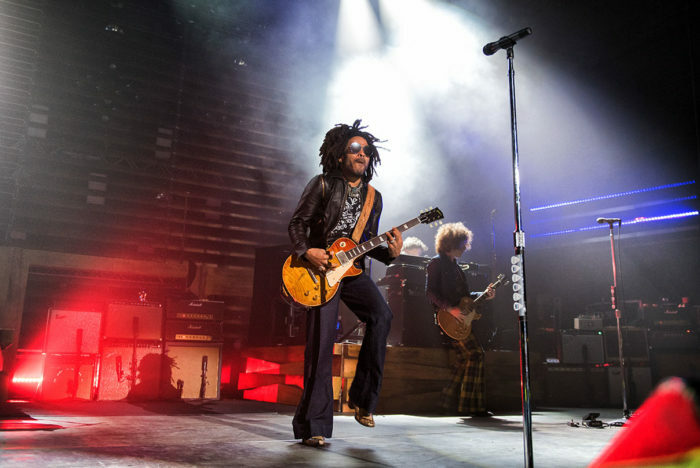 Kravitz appears in his trademark dark shades and leather jacket performing from a high platform at the rear of the stage like a proper rock god basking in all his glory. 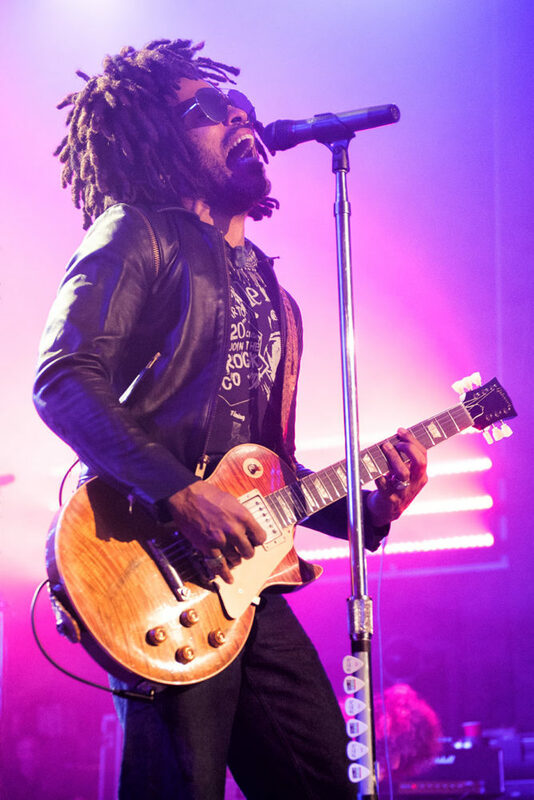 Few artists can get an audience singing along to just the second song with such gusto but Lenny succeeded and the audience were loving it! 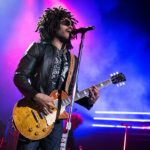 “American Woman” raised a huge cheer and a three piece brass section helped segue this song seamlessly into Bob Marley’s “Get Up Stand Up” bringing the band members to seven plus Lenny. 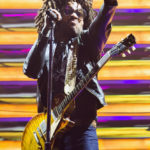 He acknowledged the forthcoming album ‘Raise the Vibration’ as he launched into the first of two new songs, the funky “It’s Enough”. 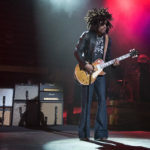 The pace then slowed considerably for an extended introduction to the classic “It Ain’t Over Till It’s Over” which again brought a huge cheer from the appreciative audience. Lapping up the adoration from his audience Lenny took time to soak up the Love by posing for photos even signing a programme that was handed up to him. At one point even a pair of knickers are thrown on stage, plus lots of “I love you” being chanted from down the front row. 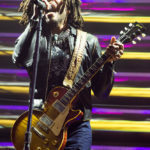 “I Belong To You” was for me the highlight of the show and a simply brilliant performance that showcased what a true talent Lenny Kravitz is. After introducing the band the pace was raised again with “Always On the Run” before “The Chamber” provided yet another funky jam. 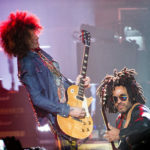 “Again” brought the main section of the show to a close not before Lenny pulled a small child from the audience to join him on stage to another huge roar from the crowd! The band then left the stage briefly…. With the crowd chanting “LENNY, LENNY” over and over again he reappeared high at the back of the stage every inch the rockstar so worthy of the crowds adoration. 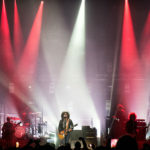 The encore brought a world class show to a close, although sadly public transport restrictions coupled with a whopping two hour set from Mr Kravitz meant I had to leave before the final song, the aforementioned monster hit “Are You Gonna Go My Way”. 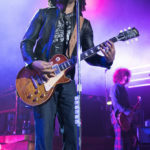 Lenny Kravitz news can be found here, or Facebook and Twitter.